Acclaimed biographer, Jean Fritz, was born in China where she lived until the age of thirteen. She tells her story in Homesick, My Own Story, a Newbery Honor Book. Ms Fritz is the author of forty-five books for children and young people. Many center on historical American figures, gaining her a reputation as the premier author of biographies for children and young people. Among the prestigious awards Ms. Fritz has garnered are: a medal from the National Endowment for the Humanities, a May Hill Arbuthnot Lecture, a Laura Ingalls Wilder Award, an American Book Award, a Christopher Award, a Boston Globe-Horn Book Non-Fiction Award, a New York Times Notable Book of the Year, and many ALA Notable Books of the Year, School Library Journal Best Books of the Year, and ALA Booklist Editors’ Choice Awards. 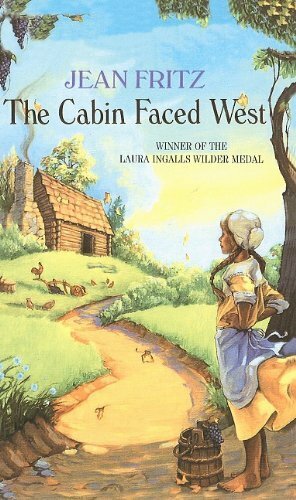 Fritz's first historical book for children tells of Ann, who longs for her old life but learns to be proud of her new home in the wilderness. Ages 8-12.